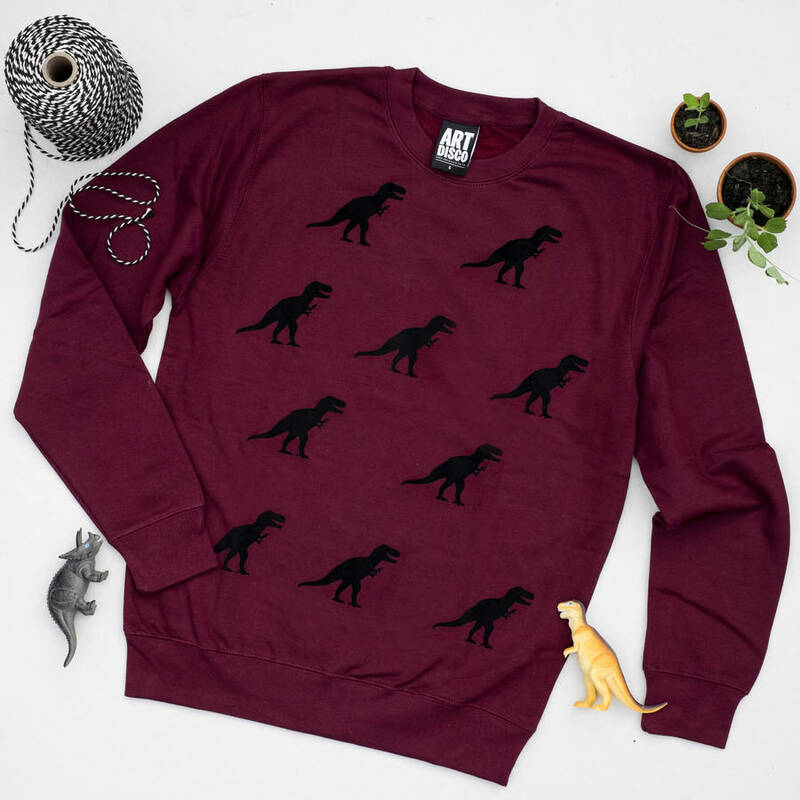 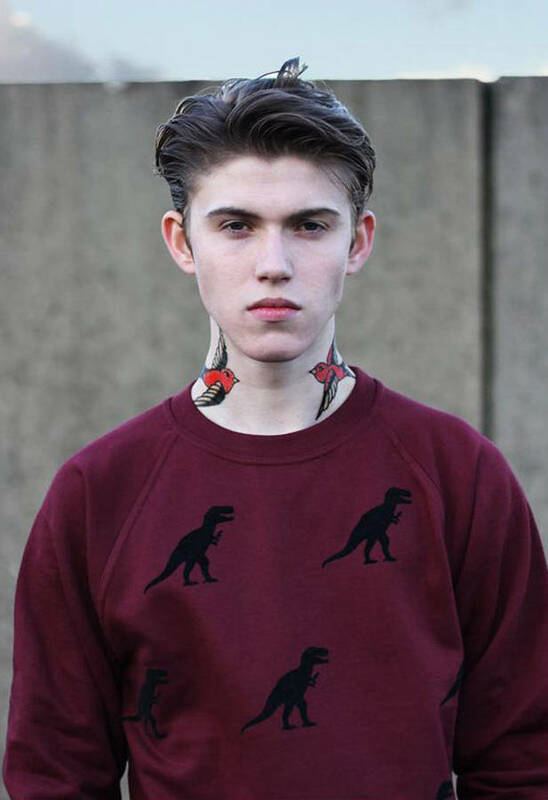 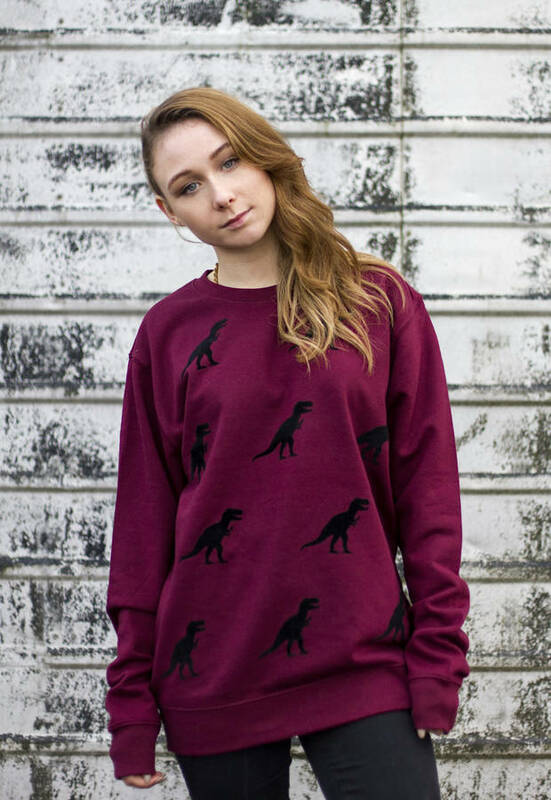 Find yourself walking with dinosaurs in this rad crew neck sweatshirt. 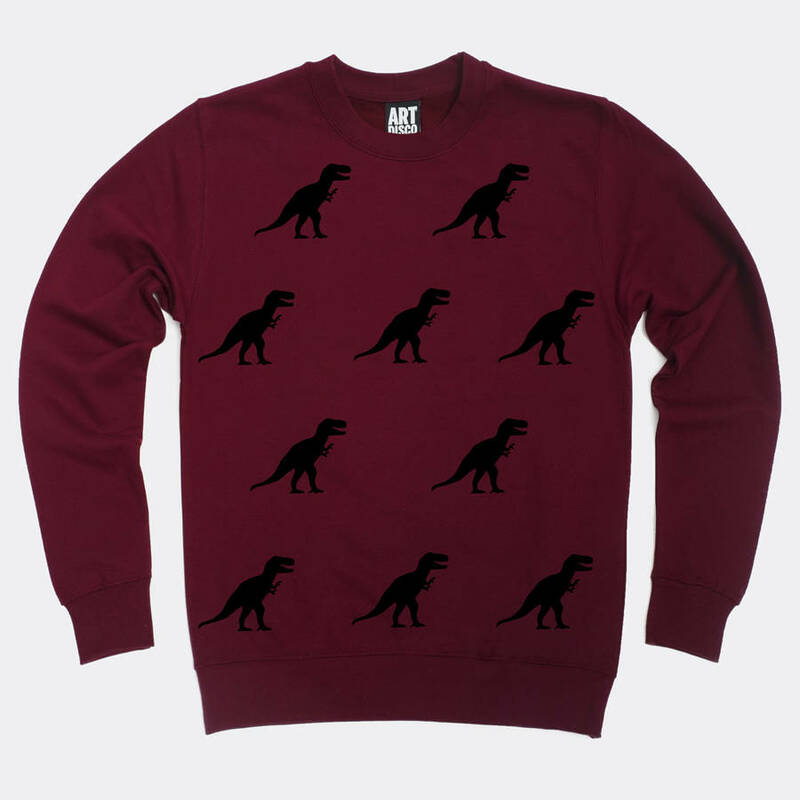 The T Rex's are featured on the front of this burgundy sweatshirt in velvety raised black flock for a super luxe feel. 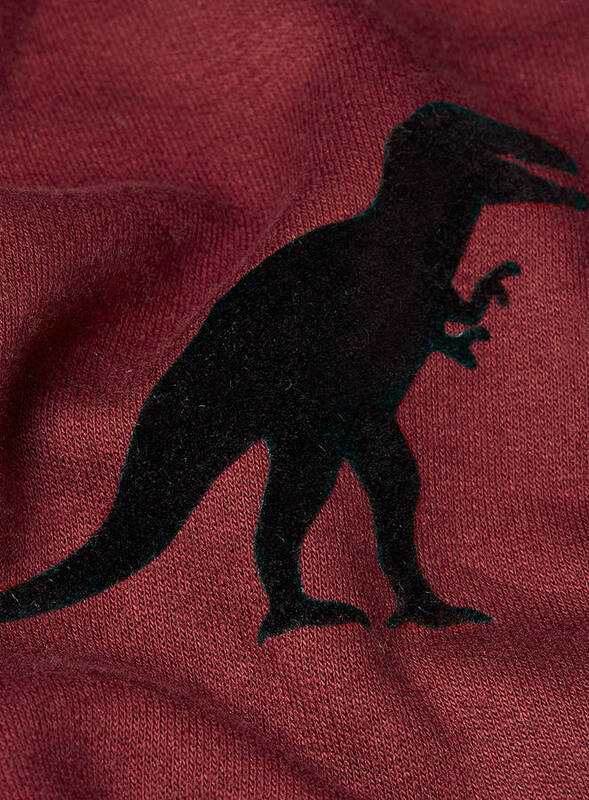 Designed and crafted by the sea in our Whitby studio, each of our soft and cozy classic burgundy sweatshirts are created with love and made to be treasured.